The theory of optimal control systems has grown and flourished since the 1960's. Many texts, written on varying levels of sophistication, have been published on the subject. Yet even those purportedly designed for beginners in the field are often riddled with complex theorems, and many treatments fail to include topics that are essential to a thorough grounding in the various aspects of and approaches to optimal control. 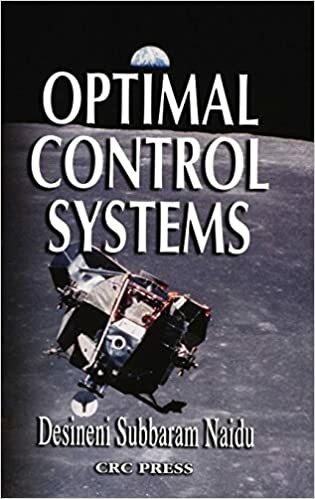 Optimal Control Systems provides a comprehensive but accessible treatment of the subject with just the right degree of mathematical rigor to be complete but practical. It provides a solid bridge between "traditional" optimization using the calculus of variations and what is called "modern" optimal control. It also treats both continuous-time and discrete-time optimal control systems, giving students a firm grasp on both methods. Among this book's most outstanding features is a summary table that accompanies each topic or problem and includes a statement of the problem with a step-by-step solution. Students will also gain valuable experience in using industry-standard MATLAB and SIMULINK software, including the Control System and Symbolic Math Toolboxes. Diverse applications across fields from power engineering to medicine make a foundation in optimal control systems an essential part of an engineer's background. This clear, streamlined presentation is ideal for a graduate level course on control systems and as a quick reference for working engineers.